"T-Mobile USA, Inc. today announced a Valentine's offer to fall in love with. 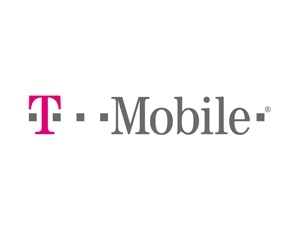 On Friday, February 11 and Saturday, February 12, all T-Mobile phones, even the fastest 4G smartphones running on America's largest 4G network, will be offered for free at T-Mobile retail stores with qualifying plan on two-year contract." Oh me, oh my! It's hard to see a downside to this deal, since you'd have to sign a contract to get a carrier based phone anyway. If this comes off, the only thing I think might turn people off is network congestion from the potntial flood of new users, much like what happened to AT&T when the iPhone first came out. What with Verizon getting the iPhone 4, this is a great riposte from T-Mobile - though I can't imagine how the shareholders might feel about such a hefty potential layout. But that hardly matters to consumers, right? Let us know if you're planning on grabbing one - and how big or small the crowds are. 1. It's definitely happening, we had a conference call about it yesterday and the day before. 2. Network capacity is not an issue. The HSPA and HSPA+ networks can hold an exponentially larger number than the number of customers on the network so unless the sub rate doubles over the weekend (which it won't) no one will be caught up. When TM designed their 3G network, they designed a network for 6-10 years from now, not today. AT&T's capacity issues just aren't going to happen unless there's an unforeseen spike in users. Current Apple Stuff: 24" iMac, iPhone 4, AppleTV (original), 4gb Shuffle, 64gb iPad 2. Here in Oklahoma, T-Mobile has excellent EDGE coverage, virtually the entire state, even smaller towns, unlike AT&T and Verizon, which cater to cities only. Where T-Mobile fails is in their 3G coverage, which is only a few towers in Tulsa and Oklahoma City only. T-Mobile is simply failing to update their system, and regardless of pure coverage area, people just don't want EDGE any more. The world has moved on but T-Mobile has not moved with it. Sad. They're making improvements based on traffic and customer base. More T-Mobile customers in the area = faster upgrades. The estimate is that in 2-3 years, their entire network will have 100% 3G coverage, but the cities and areas with the largest percentage of customers get the upgrades first. I can't say I blame them. Better to roll out a well-supported backhaul-efficient (unlike AT&T) network slowly than slap faster towers in an area and connect 'em to the same slow backhaul and then wonder why performance is lacking. Give 'em time. It'll come.